Tomahawk (7269) 01/22/1990 (K. Stork) Semidouble-double bright red. Dark green, plain. 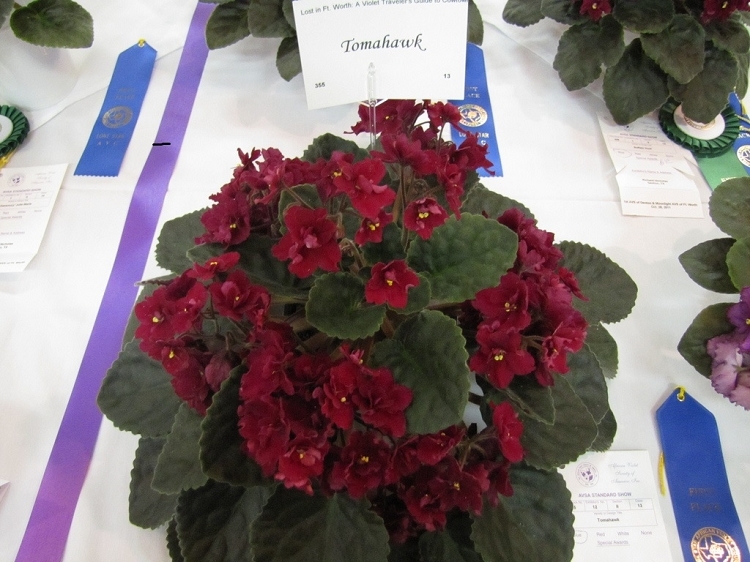 Large Beautiful red vintage violet and one of the all time best. Pre-Order - This item will be available on 5/26/2019.